After yesterdays overload of embellishment, I decided to go the minimalist route. I still managed to add some layers and texture, but the essence is simple. 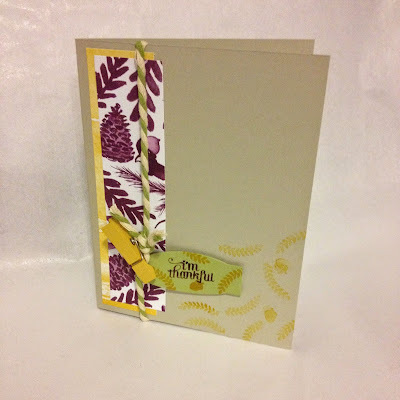 Soft Suede Card bases, with the striking Blackberry Bliss pattern from the Color Me Autumn Designer Series Paper, and a little creative inking on the Gratitude for Days stamp, I used the Blackberry Bliss Stampin' Write Marker to select the text I wanted. 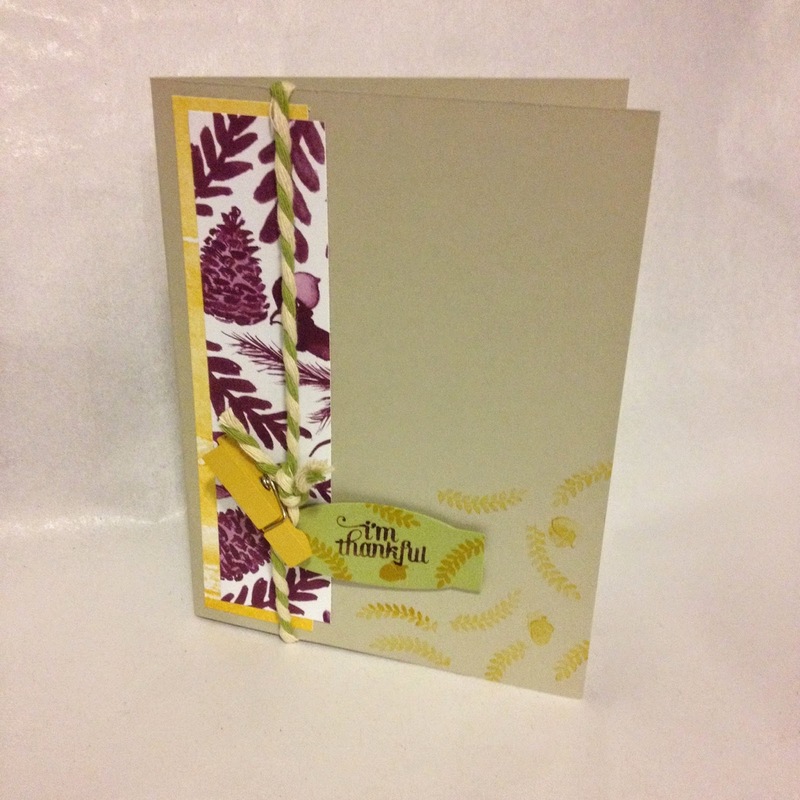 The first card floats a soft Suede pattern with the Blackberry Bliss pattern to add the vertical element in this weeks layout. 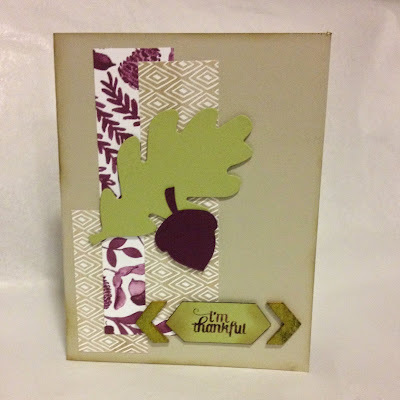 I added the Autumn Accents Die cuts in Old Olive and Blackberry Bliss, to keep with the paper set color scheme. The Wooden Elements Embellishments are sponged in Old Olive, and stamped in Blackberry Bliss. And that's all, folks! 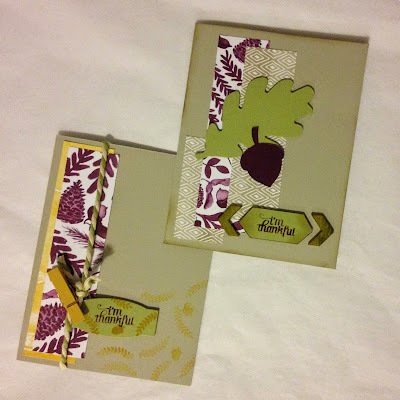 The second card uses the Crushed Curry pattern with that Blackberry Bliss pattern, and the vertical element also has the Neutral and Old Olive Two Tone Trim. 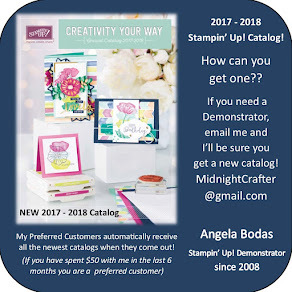 I cut the tag using the Project Life Framelits, and hooked it to the trim with an In Color 2014-2016 Printed Clothespin. 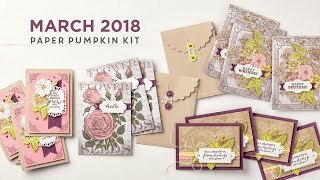 Thanks for following along this week as I exercise some card making skills!